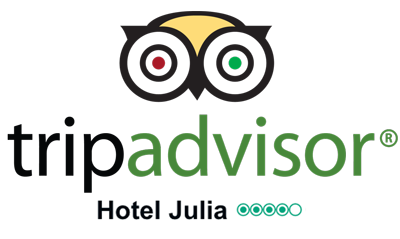 Discover the interior of the Hotel Julia wisiting the virtual tour page: enter now. Located in the historic center of Rome between Trevi Fountain, Spanish Steps, Piazza Barberini and the famous Via Veneto the three star Hotel Julia offers its guests a pleasant and peaceful stay. 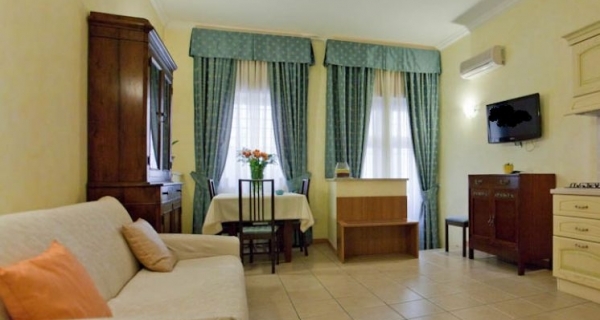 Since 1949 Rome Hotel Julia 3 stars offers nice accommodations to its guests for a quiet and pleasant stay. The Rome Hotel Julia occupies an entire small palace of 1800’s century completely restructured located in the historic Via Rasella with a facade to a quiet small street adjoining the presidential palace of Rome. The Hotel has 33 rooms, totally renovated, comfortable and quiet, with air-conditioning, direct dial telephone, free internet Wi-Fi, satellite television and individual safe. The Hotel Julia offers a free Internet Point and Wi-Fi for your laptop available in all rooms and public areas such as reception, bar and breakfast room. In the breakfast hall totally projected in a real Roman style our guests can enjoy a rich and genuine buffet breakfast. Rome hotel Julia gives you the possibility of booking-on line Rome Tours, Naples Pompeii Tours and Florence Tours with Special prices. Close to the Rome Hotel Julia a big assortment of rome restaurants satisfies all the needs of Cucina Italiana fans. An adiacent parking place is available in Via Ludovisi. You can also take advantage of a motorcycle covered parking garage right in front of Hotel Julia at a cost of 8 euros. 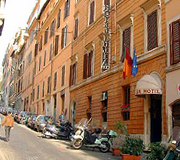 The Rome hotel Julia can offer luxurious and comfortable rome bed and breakfast or domus julia apartments to accommodate Families, groups or couples. "The staff was perfect. I really appreciated their cortesy and availability. The room was exactly the one in the photo." 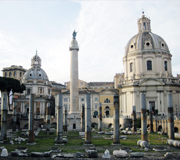 The Hotel Julia offers easy access to major historical and cultural attractions of Rome. The proximity to monuments, public transport, restaurants, pubs and the most important shopping streets, make your stay even more memorable. Domus Julia Guesthouse is a lodging house in a small palace of 1700 epoch completely restructured. 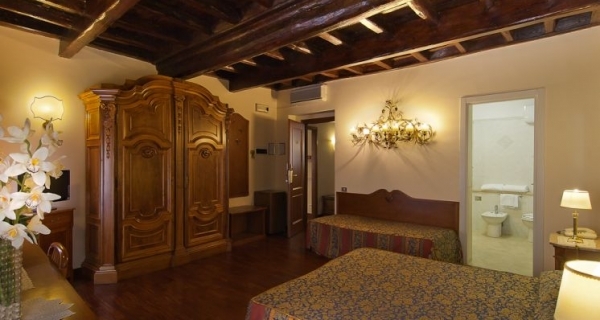 It is located in the historical centre of the city between Trevi Fountain, Spanish Steps and Via Veneto. Characteristic and luxurious fully renovated apartment of 44 sqm on the ground floor of an ancient building of 1905, Via Rasella, located in the heart of Rome, between Trevi Fountain, Spanish Steps, Piazza Barberini and the famous Via Veneto. Hotel like this no needs for much words..."
Booking directly through our site you always guaranteed the best price available and you can check the room availability in real time.